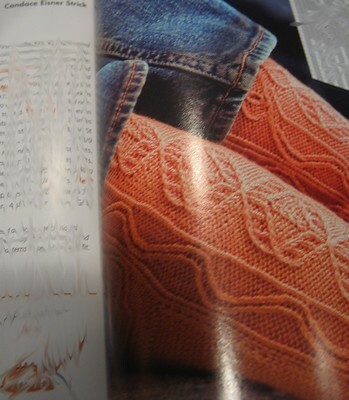 The Sienna Cardigan from the Fall 06 issue of Interweave Knits. I still have the sleeves to knit but I've found two errors and one inconsistency in the pattern. I'll post a summary of the errors later this week. I'm thinking this would be wonderful knit into a teddy bear or other toy. Anyone know of a good pattern? More yarn that needs a good home. Maybe your home?? I don't know how many of you have seen and/or purchased a copy of Donna Druchunas's new book, Arctic Lace. 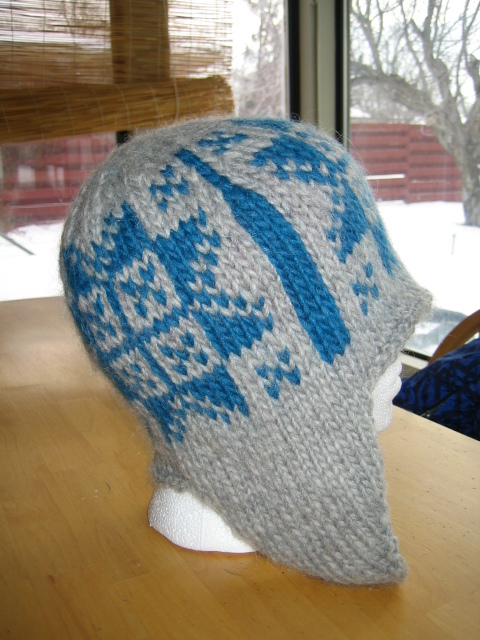 It's not just an amazing book of patterns; it's also an account of the Oomingmak Knitter’s Co-op and includes information on qiviut fiber and yarn. Donna has embarked on a blog book tour and she'll "be" here next Friday. I thought it would be fun to send Donna some questions about Arctic lace knitting and the process of researching and writing her book. If anyone has a question for Donna, please email me or leave your question in the comments. I'll send all the questions to Donna in the next couple days to give her time to prepare answers by next Friday. 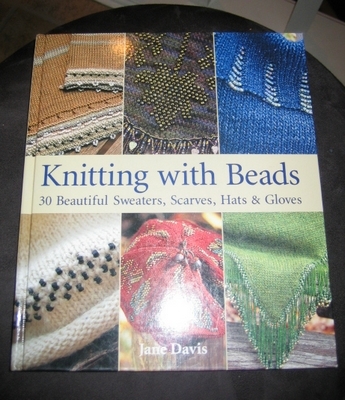 The book is really fascinating so don't pass up your chance to ask Donna about Arctic lace and knitting with qiviut. 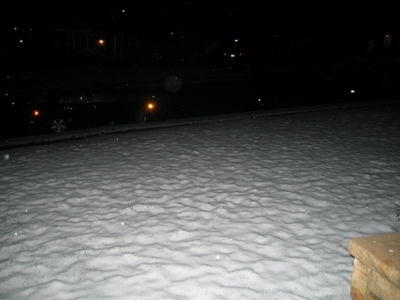 Now where did I put that scarf and those gloves?? Pattern Alterations: I began knitting this pair on the 45 stitches called for in the pattern and immediately realized the gloves would be waaaaay too big. So I frogged and restarted with just 35 stitches. Perfect. I knit the cuff for 18 rounds, the same as the pattern suggests, but I set up the thumb opening by knitting only 5 stitches onto the waste yarn. 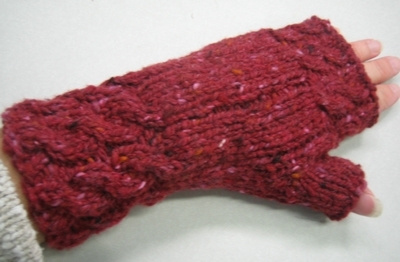 Like I did with my first, 45-stitch pair, I centered the thumb over the 4x1 ribbing cuff by knitting the first two stitches of the left glove, inserting the waste yarn, and then completing the round. For the right glove, I inserted the waste yarn at the end of the round, but again I centered it over the 4x1 rib. After placing the waste yarn, I worked 6 rounds in the 4x1 rib, worked a cable, knit 5 rounds in 4x1 rib, worked a second cable, knit 3 rounds in 4x1 rib, then bound off all stitches in purl. For the thumb, I picked up 4 stitches above, 5 below, and 3 at each side. I knit the thumb for 8 rounds and then bound off in purl. I adore this second pair and have been wearing them almost nonstop. The yarn is soft and warm and very fluffy. 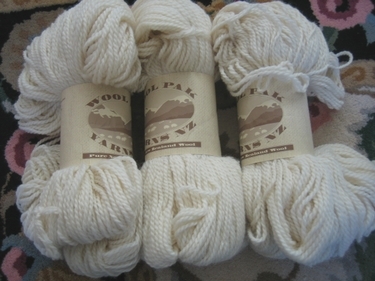 Does anyone know if it's exactly the same yarn as Jo Sharp Silkroad Aran Tweed, 'cause it sure seems like the same yarn. 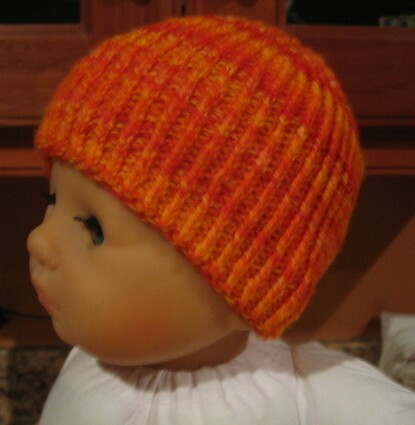 She used Zephyr yarn in a beautiful apricot colorway. I love the lace-weight version. She used her own handspun; some of the first she's ever spun! Awesome. And Eileen (one of my SnB grrls) finished her shawl too. She's got photos on her blog. 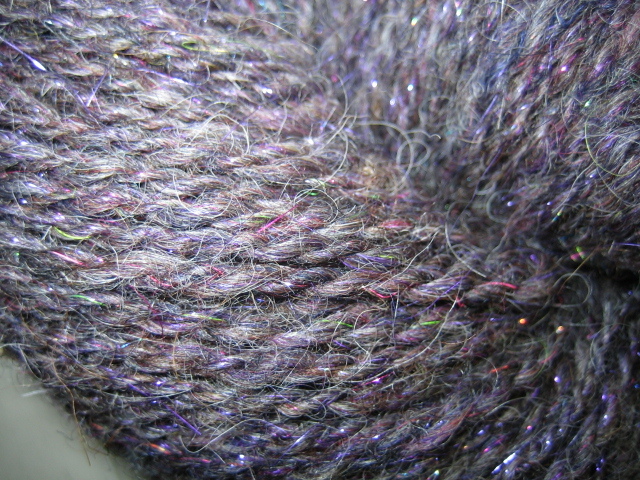 It's gorgeous in person; the Wool in the Woods yarn was a wonderful choice. It's official. 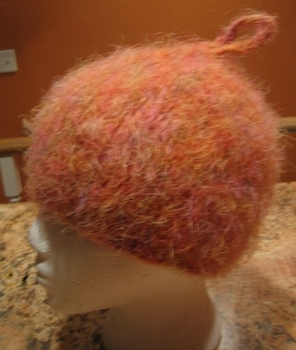 I put a few felting yarns up for sale on the DeStash blog. Today's sky is filled with sunshine and small, wispy clouds. And, yes, the sky really is that brilliant blue color. It's literally, the perfect day. This photo was taken while I waited for my daughter to finish up at softball practice. My second pair of Fetching gloves. 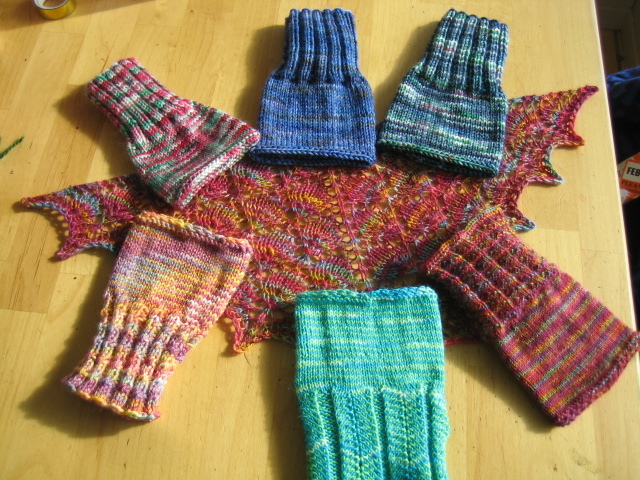 These were knit from one skein of Kathmandu yarn. Details to follow. I finally mailed the Wavy Feathers Wimple I made off to my pal in the International Scarf Exchange. Hope she likes it. First, thanks to everyone who left a comment for Blogless Val. Seriously, I really appreciate that you took the time to help me bring my little scheme to fruition. I’m not sure whether Val can actually respond to the comments or whether they are delivered to Margene’s email account, but I’m sure she was appreciative of every one . . . and surprised. Last time I checked there were over 148 comments (wow!). I would say Val is entitled to something extra special from Rhinebeck! 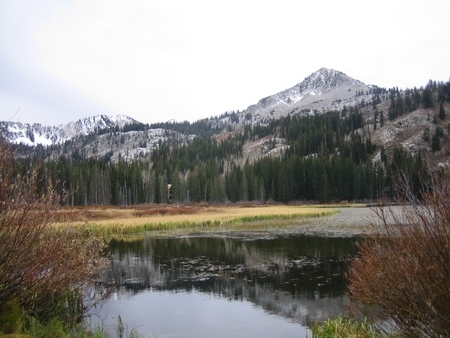 And don’t forget to check out today’s post from guest blogger #2, Karen. Sorry for the crappy photo. The one in Monday's post is much better. Pattern Alterations: These notes won’t make much sense unless you have the original pattern in front of you. I didn’t like the fabric I was getting with the 4mm needles called for in the pattern, so I went down two needle sizes to a 3.5mm (U.S. #4). The yarn I used, Classic Elite Wings, had a bit more yardage than the yarn called for in the pattern so even though I have very small hands, I decided to make the gloves just a bit longer since I read that other knitters have found they are somewhat short in the cuff. After I completed the last cable of the cuff, I knit the ribbing for 21 rounds instead of 18. After I placed the waste yarn for the thumb, I worked 6 rounds of 4x1 ribbing, worked the cable, then worked the thumb. Because I completed the thumb first and had already split the single skein of yarn into two smaller skeins, I just knit the hand until I ran out of yarn. I was able to work 6 rounds of 4x1 ribbing after the cable. I would have liked to make a second cable, but I didn't have enough yarn. 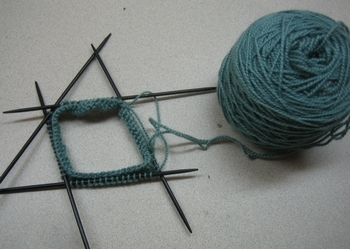 When I worked the thumb, I picked up 3 sts in each corner instead of two, and knit the thumb for 8 rounds instead of 4. I picked up the corner stitches by lifting the stitch and knitting it through the back loop. This twists the stitch and minimizes holes. I bound the thumb stitches off in purl, too. That’s about it. 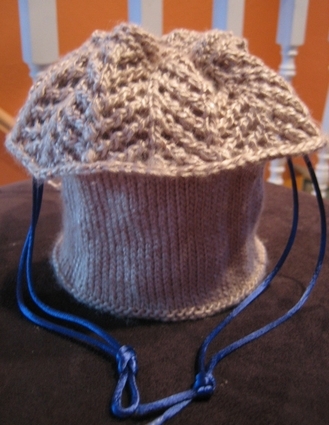 I think the pattern is a clever use of a single skein of yarn. 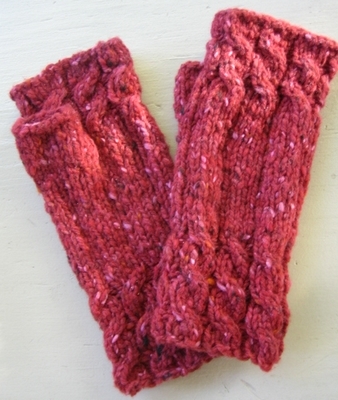 I love the gloves and will probably make a few more pairs after I finish my current crisis knitting. I’m thinking Classic Elite Lush would be a nice substitute for the Debbie Bliss Cashmerino Aran since it has a whopping 123 yards in each 50g skein but knits up at about the same gauge. Tomorrow or Saturday I’ll show you the second pair I made and tell you how I altered the pattern just a bit more. Many of those who read my blog, also read Margene's blog. This week, Margene has abandoned her blog while she searches for the proverbial Golden Fleece at Rhinebeck. 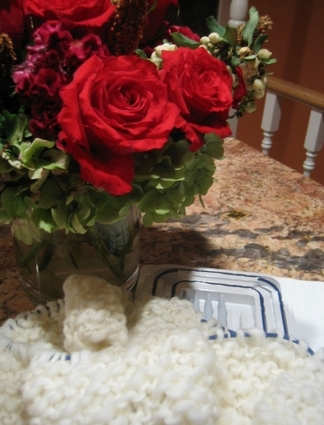 But zen master that she is, she made arrangements for two other Ewe-tah knitters to guest blog while she's away. Their compensation is a fibery goodie from Rhinebeck. That's the background, now I'm about to ask for the favor. I kinda, sorta, maybe goaded Margene a bit about how many comments her guest bloggers will receive on their posts. In the spirit of a good wager, Margene agreed that the more comments her guest bloggers receive, the better their fibery goodie. And I'm all about forcing Margene to pony up goodies. So, please, hop over to Margene's blog and leave a comment to today's post which was written by the incomparable, yet sadly blogless, Val. I might add that the post is truly wonderful and very inspiring. And while I'm acting all nervy and everything, if anyone knows how to sew together the shoulders of a sweater worked in 2x2 ribbing, can you help Sibylle out. Don't let the German blog fool you, she speaks English too. Thanks! As the quid pro quo for all your help today, I promise that tomorrow I'll describe in full detail how I altered the Fetching pattern, not once but twice. Promise. Behold, the left half of a pair of Fetching fingerless gloves. I'm using one skein of Classic Elite Wings yarn that I overdyed. I split the skein of yarn into two equal balls before I started knitting; one ball for each glove. Hopefully, my measurements were close. I figure I'll weave the ends in after the second glove is finished in case I have to make any adjustments; like take out a round of knitting at the top. I didn't follow the pattern exactly (surprised?). And I have plans to alter it a bit more for the second glove in order to make them mirror images. I'll let you know how it works out. In the last week or so, I've received several emails from knitters who have finished their Forest Canopy Shawls . I've just been too damn lazy to post the links. 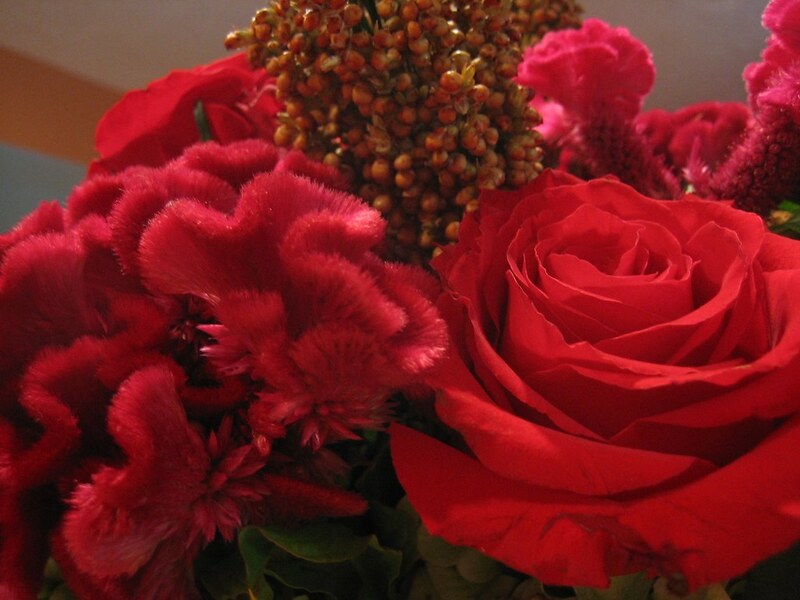 But I have tried to visit everyone's blogs and leave a comment. Elizabeth knit her shawl from Anne sock yarn and wore it to a wedding. Check her blog for a funny story. Edna knit hers from Anne, too. Kristie knit hers from Lorna's Laces yarn. Gorgeous. Sharon used Mountain Colors Bearfoot. Great substitution. ***BTW, if you want to join the Lonesome Skein Knitalong , today (Monday) is the last day to sign up. So act fast. Although it's brightened up considerably, this morning was grey and overcast. DD and her friend accompanied me to Silver Fork Lodge for a late breakfast. 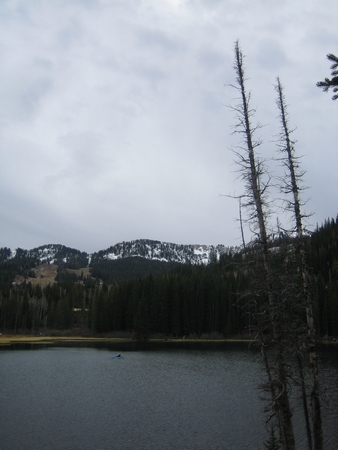 The three of us then took what will most likely be our last lap around Silver Lake before winter sets in. DH and DS were in New York the last few days on a pilgrimage. I took advantage of the evening quiet to spin up a bit of Spinderella's thrums for a baby sweater. 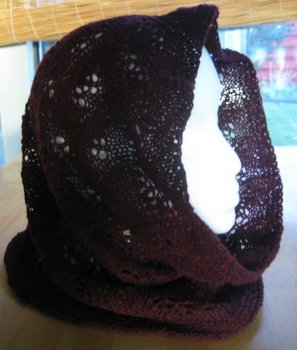 I think the purple Angelina will be cute knit up. What do you think? Ugly? Cute? Hard to say. I'm holding onto the receipt just in case I change my mind. I've been thinking some more about why I seem to have such an enormous stash and I think I've reached a unilateral consensus on the issue. 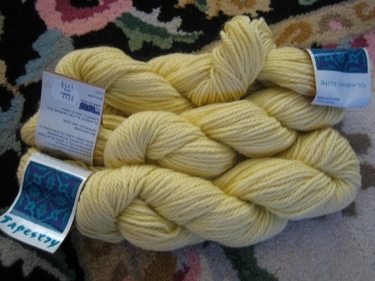 Although I am the child of Depression-era parents (who, to this day, have difficulty throwing away even the most useless things), I don’t stash yarn because I fear a fiery fibery Apocalypse or the arrival of a day when I won’t be able to afford to buy even a single skein of Red Heart Shetland Chunky from Smiley's. 1. I love to shop but, at the same time, I hate to shop. In other words, I’m a browser. I absolutely, positively hate to go shopping when I need something. And, I’m basically indecisive by nature so I fear I would never knit anything if I bought yarn on a project-by-project basis. I would simply wander aimlessly from yarn shop to yarn shop, seized up with all the possibilities. Having a healthy stash eliminates the panic of finding myself projectless and thrown into the distasteful situation of actually needing to go to the yarn store. 2. I love yarn . . . all yarn. Well, okay, almost all yarn. Think about it. Every skein holds such promise. How will it look knit up? What will the colors look like in garter stitch, stockinette, double moss, felted? What needle is best for this fiber? I can't stop myself from endlessly pondering the possibilities hidden inside each luscious skein. 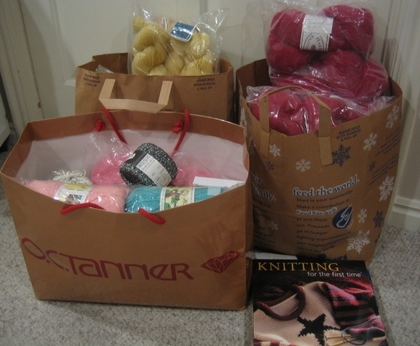 This is the main reason why I still haven't listed any of the yarns I set aside on the DeStash blog. I just need a little more time to exorcise the demons. That's my stashing story, and I'm sticking to it. So, why do you stash yarn? Or not. 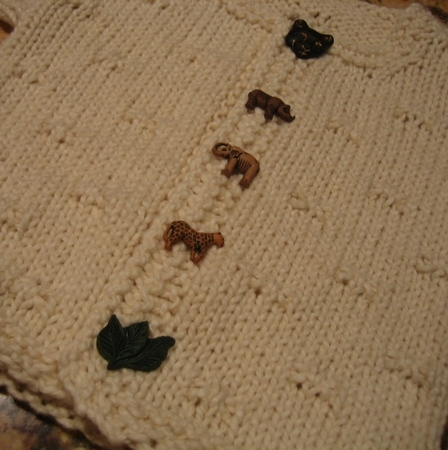 Thanks for all the helpful input on the buttons for the baby sweater. 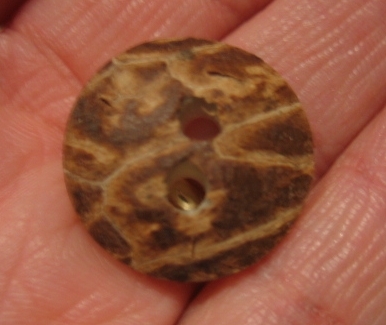 I was 5 minutes away from sewing on the plastic/leather, old-man buttons when I decided to look in my button box. And, of course, I found something I'm pretty sure I like better. Cute or what? Even better, the parents of the as-yet-unborn child for whom I knit this sweater met while serving in the Peace Corps in Africa. Brilliant. 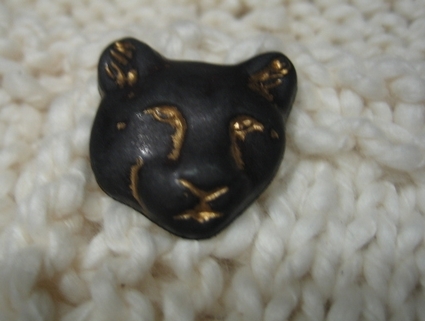 My favorite is the back panther which I think I'll put at the neck unless one of you talks me out of it. Somehow, it seems like more in person. 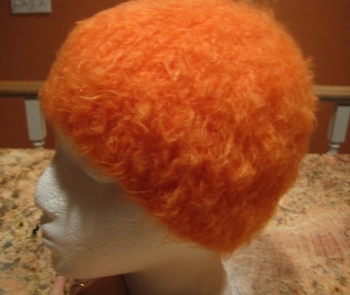 The first to go will probably be some mohair and two skeins of orange Cotton Ease that someone might like for a quick Halloween costume or a scary deer hunting project. For someone who doesn't particularly like mohair, I seem to have an ungodly amount of it in my stash. 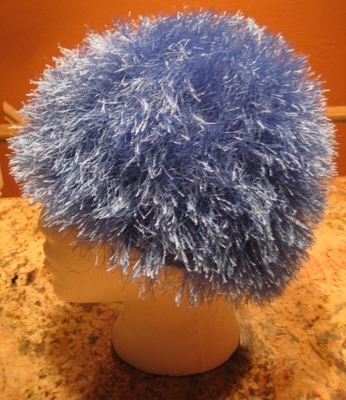 I guess I like the idea of mohair, I've just never been able to make friends with it. 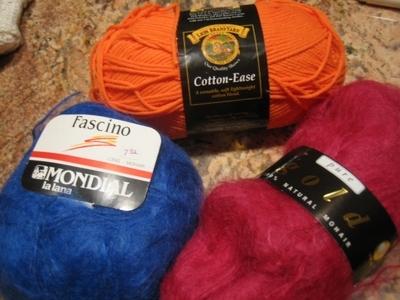 If you're looking for some nice 100% mohair and a mohair/wool blend (there's no nylon or acrylic in my mohair), check the DeStash blog either today or tomorrow. And, can I make a quick observation about destashing. Why is it that I have very little interest in any particular yarn until I decide to get rid of it? Seriously, I have been staring at the bags of yarn and the books for three days now and I can't stop thinking about all the projects I could make from them. I keep removing skeins from the bags and coming dangerously close to casting on. What's up with that? The only thing better than having a day off work for a federal holiday, is when that day is not a school holiday. 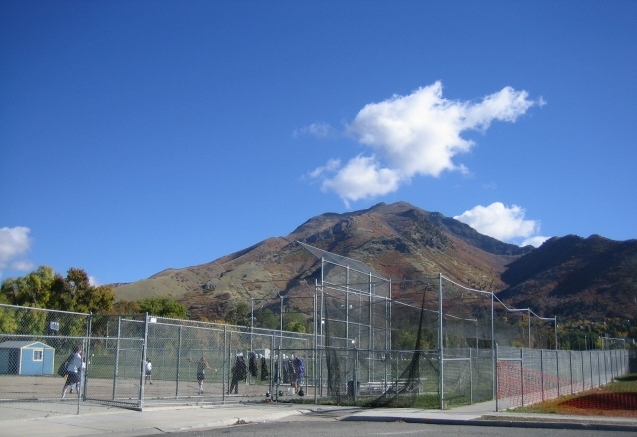 Aaah, how I love the deafening silence around here when the kids are at school. Not surprisingly, I made a bit of progress on a couple of knitterly projects. In fact, I actually finished something. Seriously, that is not a misprint. 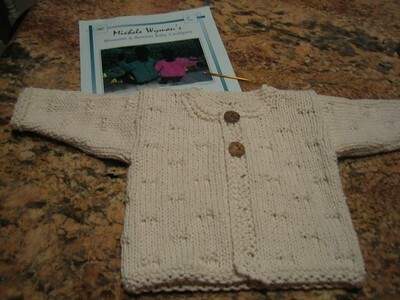 I've said it before, and I'll probably say it again, but I just love this pattern which is called the Blossoms and Bowties Baby Cardigan. I think this is the fourth one I've knit. Instructions are given for bulky weight and worsted weight yarn and I've made the sweater with both types. 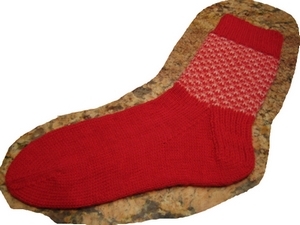 I prefer the worsted weight but if you use bulky, you can easily knit the entire sweater in a weekend. Well, unless you totally screw it up like I did last month. I changed the pattern a bit this time, working garter edges instead of the chevron cuffs and lower edge. See my double-start cast on at the bottom edge?? You gotta love that double-start cast on. Tell me the truth; what do you think of the buttons? They're plastic (nice plastic) covered with a thin layer of leather. 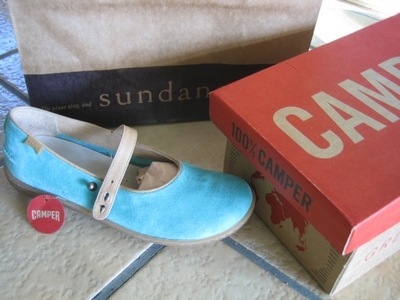 Are they too old-mannish for a baby?? Seriously, do they scream "Grandpa"? And what else did I do today? Well, here's a hint. It involved opening many, many Rubbermaid bins. 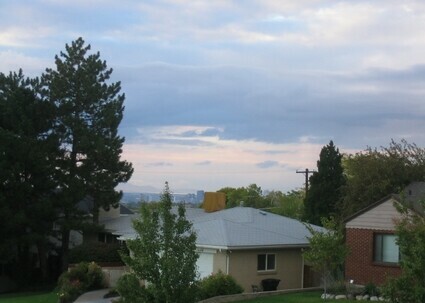 The last bit of cloudiness after a night and day of rain. Click on the photos if you want really, really large versions. I bought this fabulous bouquet of flowers at last night's Legal Aid Fundraiser. There was a different arrangement on each table and they were auctioned off to the highest bidder at the table. These were arranged by a local florist called Roots. Although I had never heard of this business until last night, their number went right into my address book. 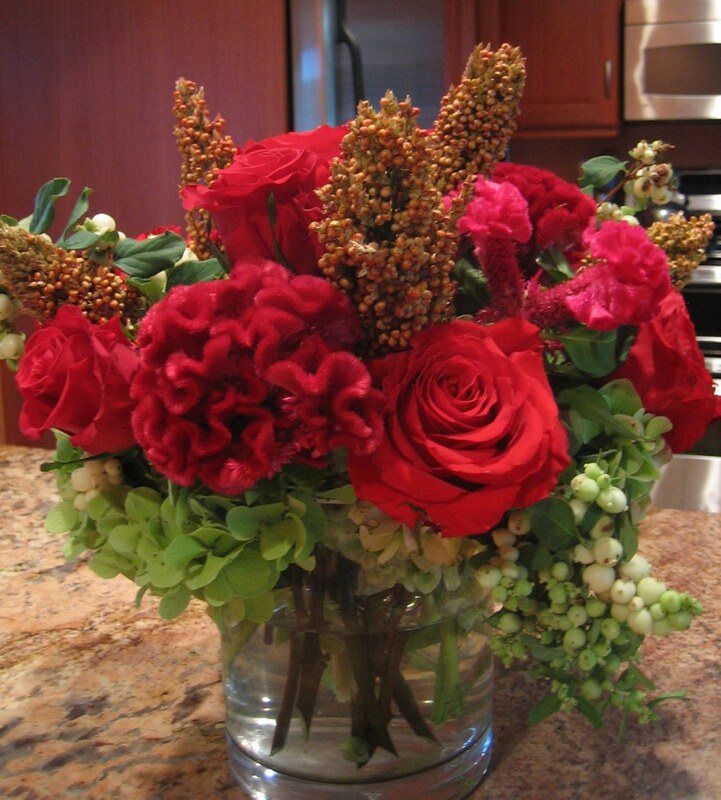 Seriously, this could be the most spectacular arrangement I've ever had at my house. 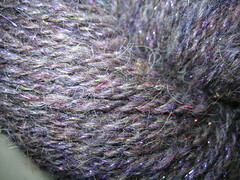 Some roving I picked up this morning at Three Wishes. 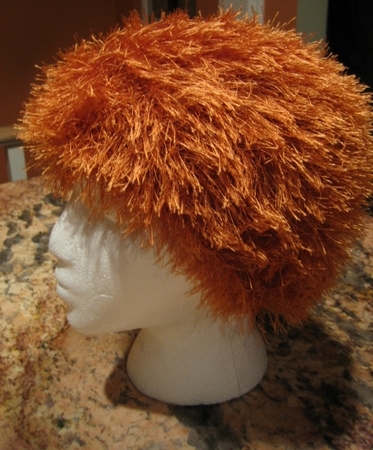 It's distributed by Kraemer Yarns and I believe it is fairly new because Kristine said she'd just received the shipment and I couldn't find any information about it on the Web, including on Kraemer's site. I can tell you what I think of it, though. It's OK. 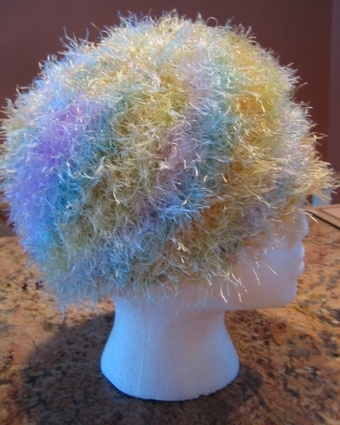 Personally, I don't like any of the Kraemer yarns. The colors are beautiful, but the yarn itself is kinda blah. Same is true of this roving. 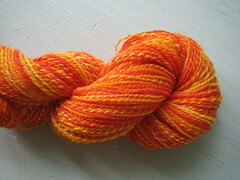 I'm spinning up a colorway called "Spice" and it's a beautiful, heathery mix of orange, red, and yellow. 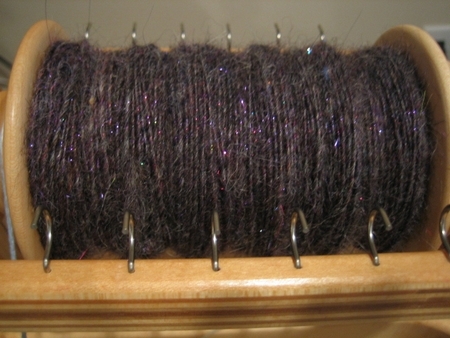 But the fibers themselves are somewhat short and coarse with little crimp so the singles are somewhat hairy. I don't think the finished yarn will be particularly soft or lofty. 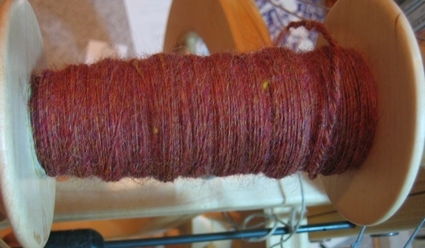 That said, I wouldn't hesitate to recommend this roving to a beginning spinner. It's been prepared nicely and drafts very, very easily. Has anyone else used this?? Using the circular needle, CO 96 sts using the stretchiest cast-on you know. I like the cast-on Nancy Bush calls the "double start." Join into the round without twisting the stitches. 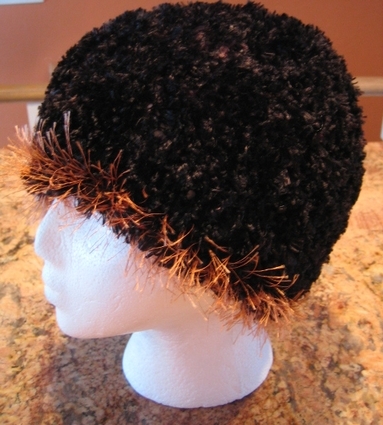 Continue working this ribbing pattern, round after round, until the sides of the hat are approximately 3.5 inches high, measured from the cast-on edge. Continue in this manner, working one less st before the decrease until there are 12 sts on the needle. Change to double-pointed needles when necessary. 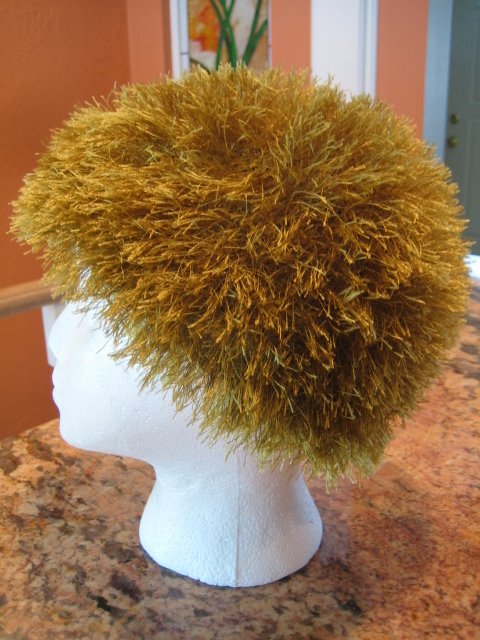 Cut the yarn, thread it onto a tapestry needle, and draw the needle through the 6 remaining sts to close the hole at the top of the hat. Weave in the two yarn ends. Find a baby who needs a new hat. Wouldn't it have caught your eye, too. I mean it's kinda bright, huh. 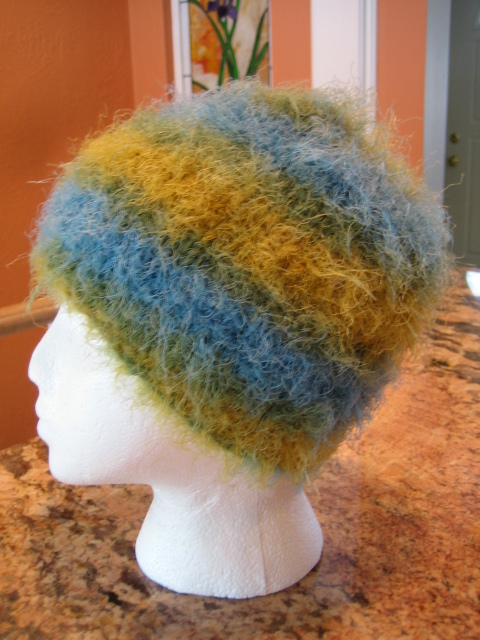 It was actually dyed by Margene during the class we took from Kate at the Great Basin Fiber Arts Fair in early September. 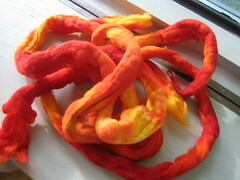 I shared my extremely dark, hand-dyed roving with her, and she shared her retina-searing richly dyed roving with me. 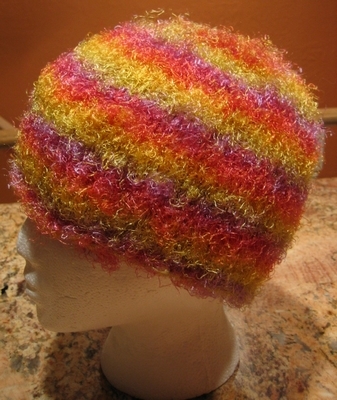 The goal here was to spin up a nice DK weight yarn and knit up a quick hat. If all went well, booties could follow since there's plenty of roving. What do you think? Will the hat make the child look too much like a match head? On the other hand, I guess I could call the colorway, Don't Play With Matches. Definitely worth the cover price of the magazine which is otherwise somewhat mediocre.